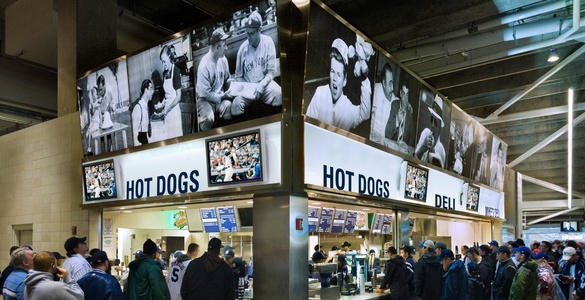 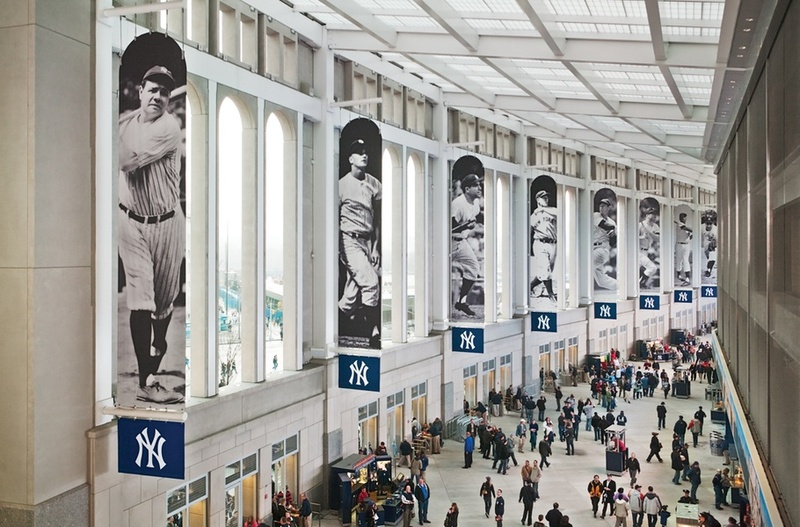 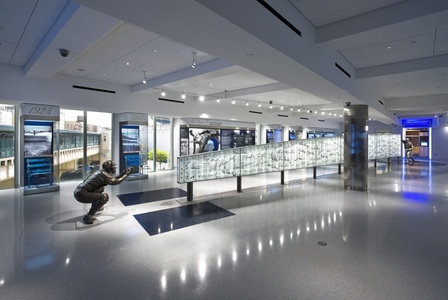 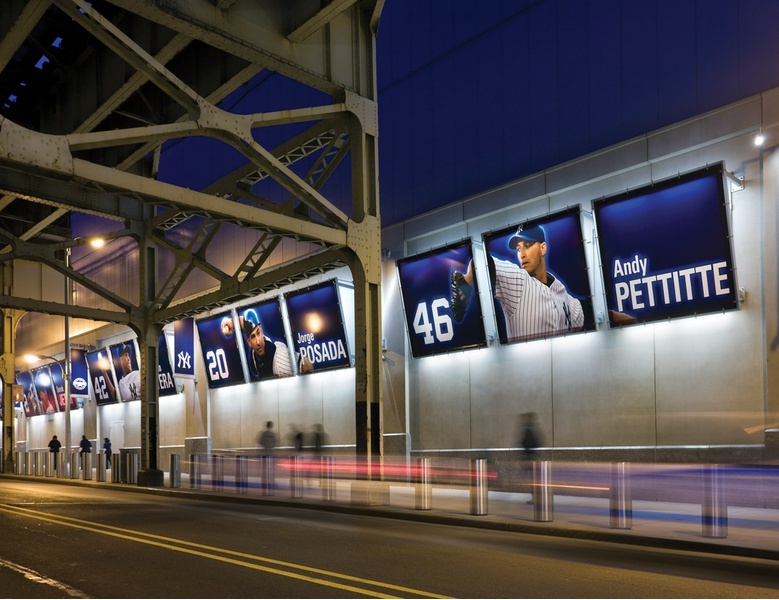 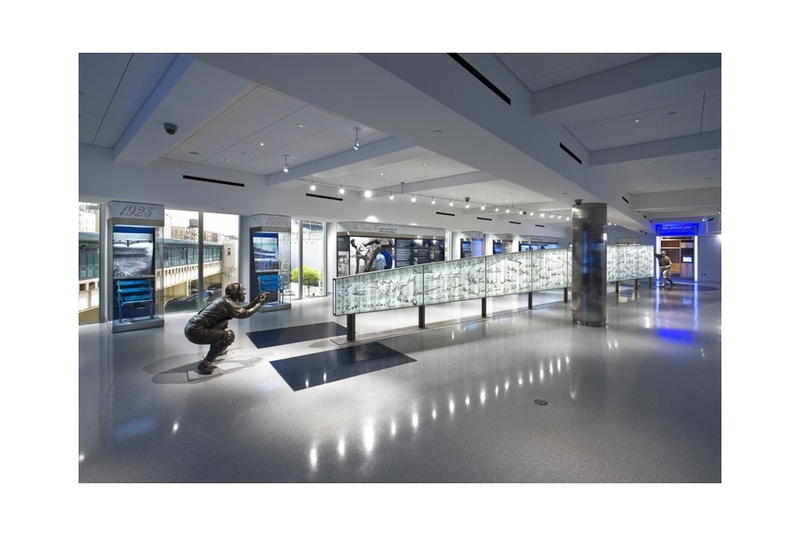 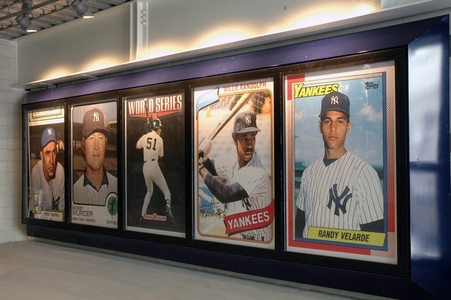 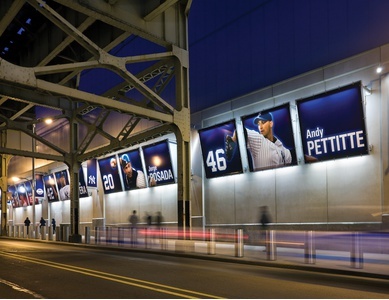 After being selected in a national competition, the firm, in collaboration with renowned stadium architects Populous, designed all stadium graphics, sign systems, sculptural installations and retail systems for the new Yankee Stadium, one of the largest and most complex sports venues in the United States. 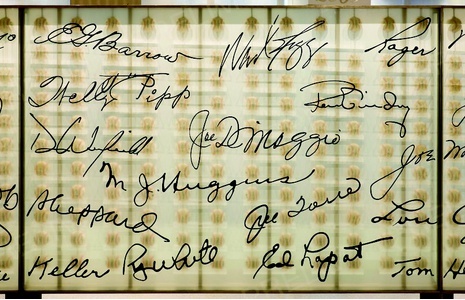 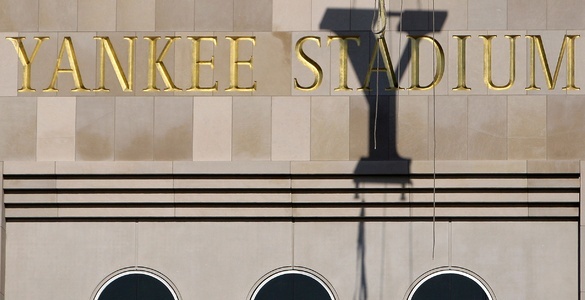 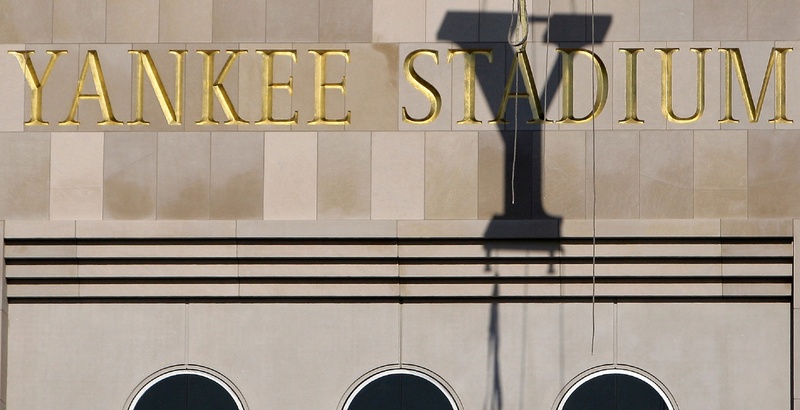 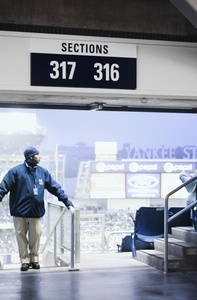 Yankee Stadium’s sign program encompasses over 3,000 components, from monolithic rear-illuminated lettering atop the scoreboard and ceremonial Gate 4 facade to back-of-house wayfinding.The lettering used on the larger signs and v-incised into the limestone facade duplicates the font depicted on archival photographs of the 1923 stadium. 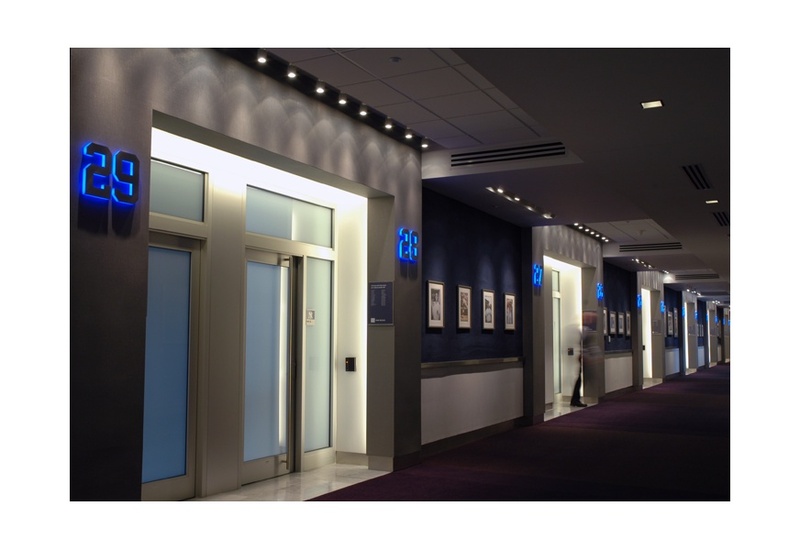 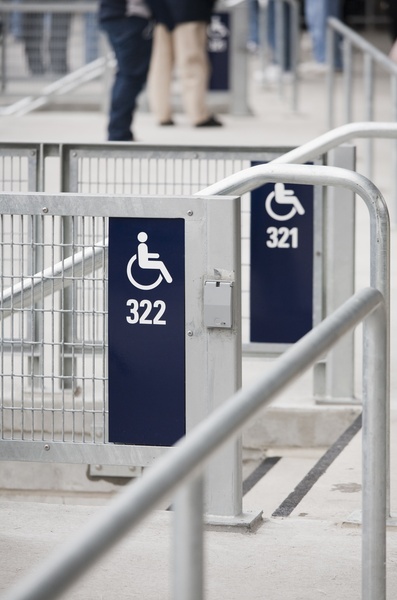 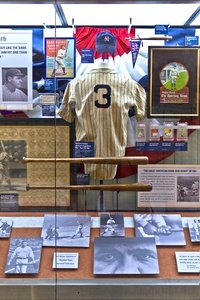 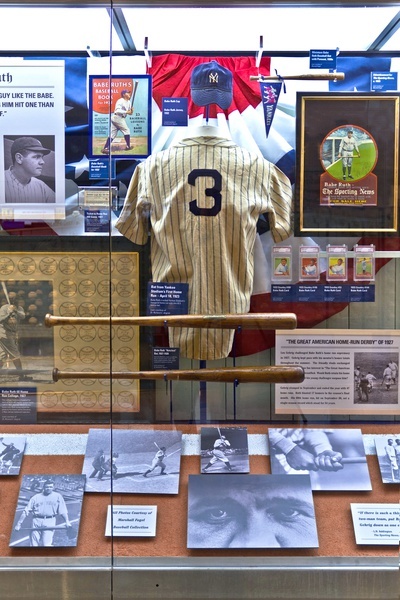 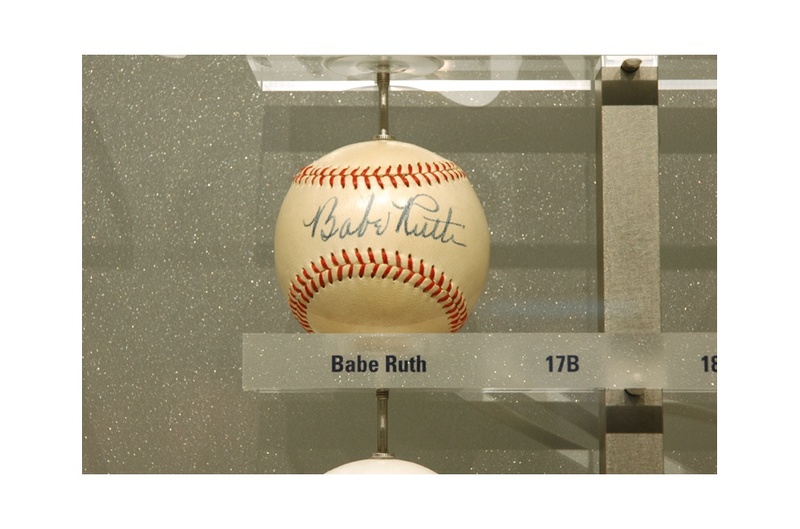 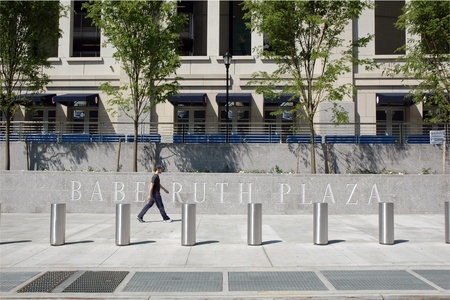 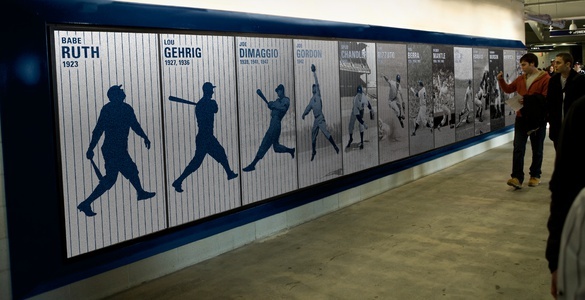 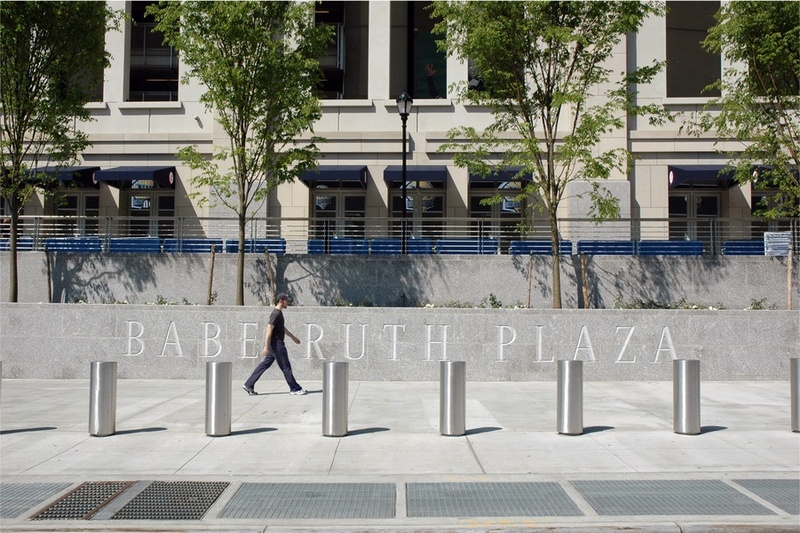 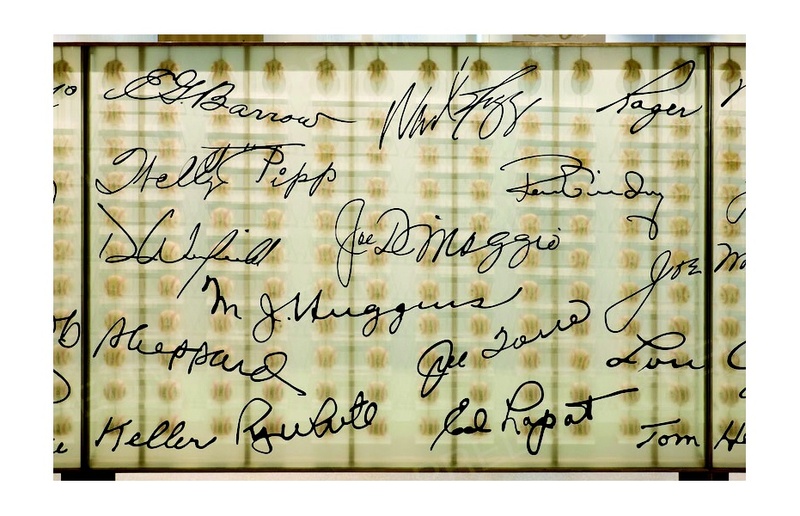 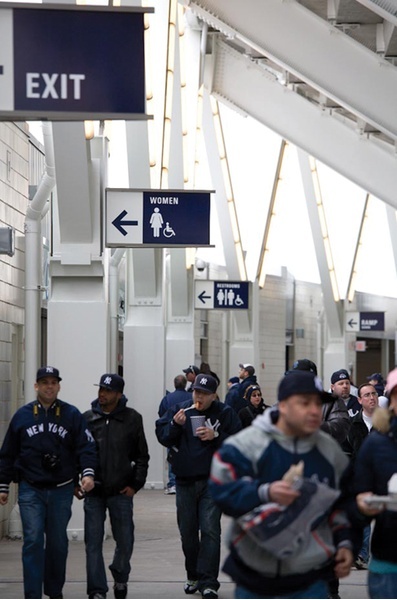 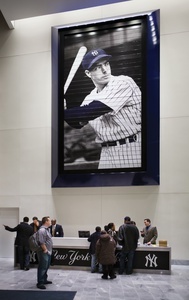 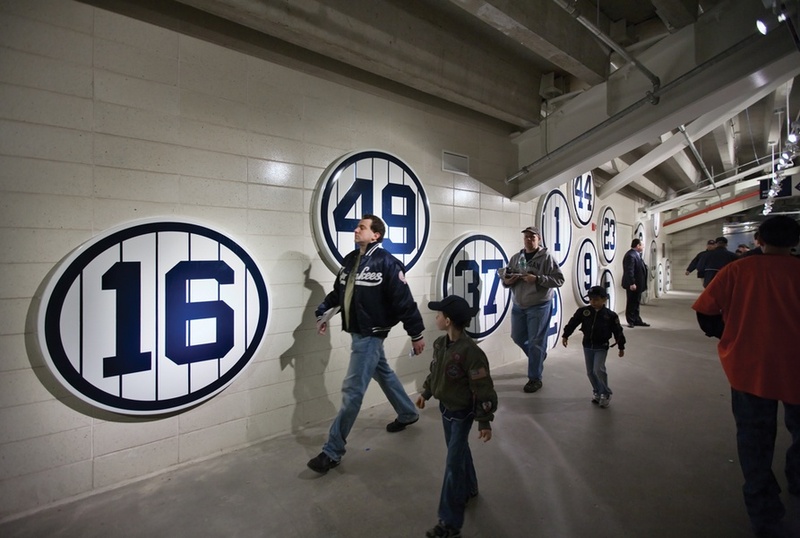 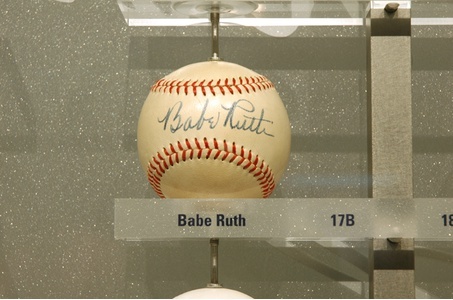 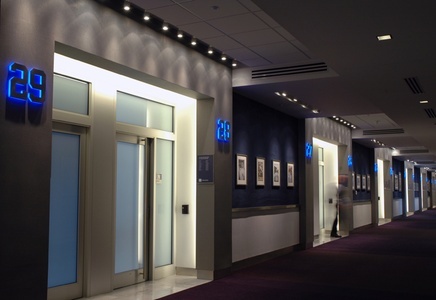 The New York Yankees’ pinstripes, interlocking NY logo and signature navy blue are used to infuse the team’s image throughout the Stadium on wayfinding, identification and orientation signs. 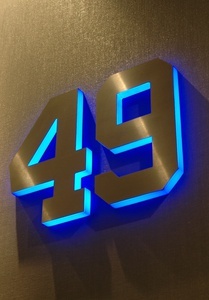 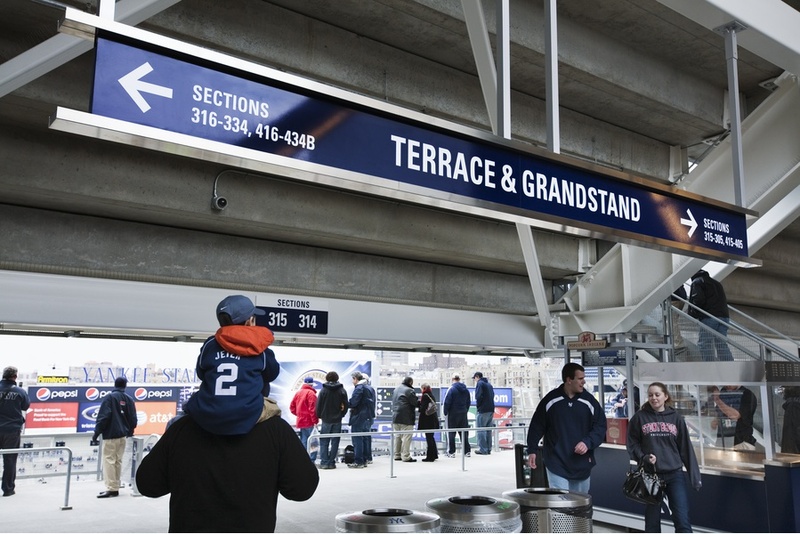 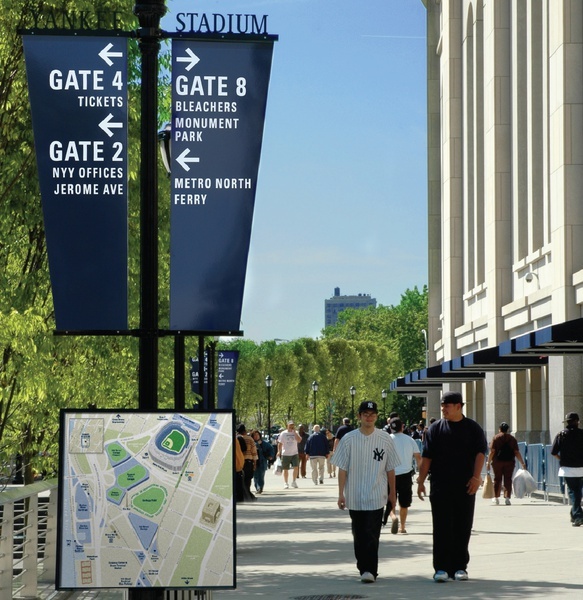 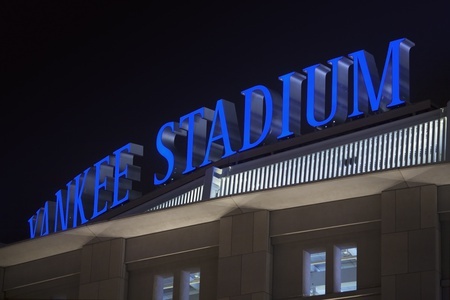 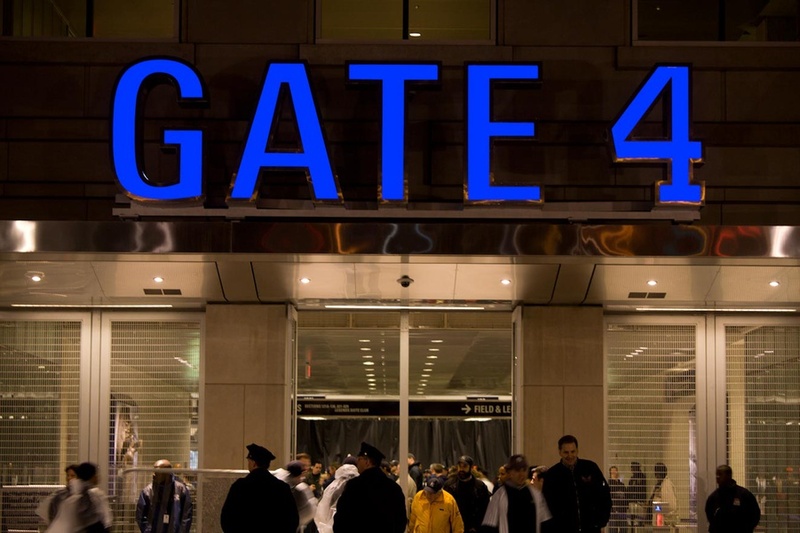 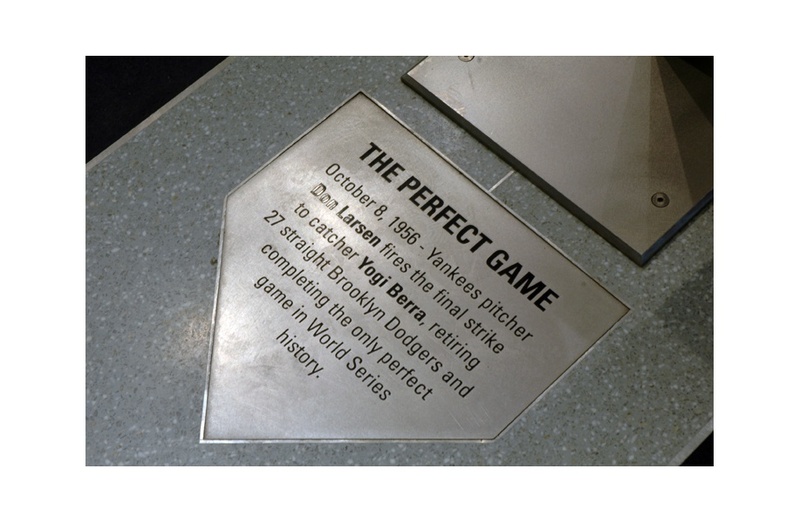 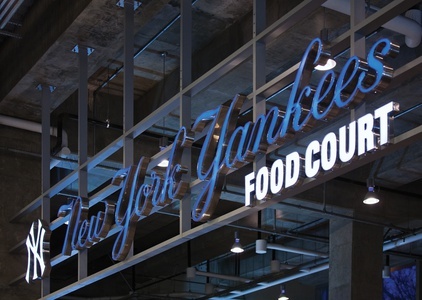 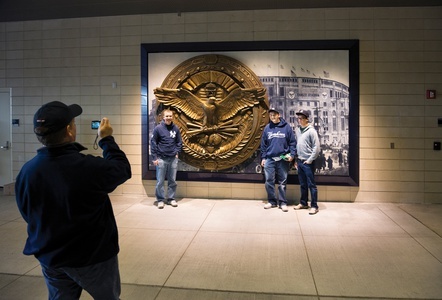 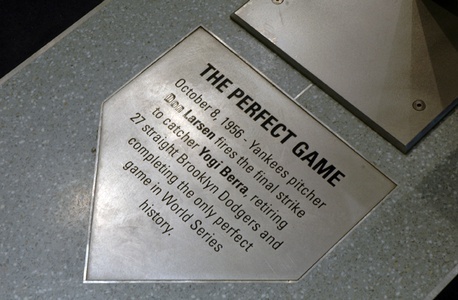 The sign program has been crafted with stainless steel, porcelain enamel and elegant typography in manner appropriate for Yankee Stadium – a place that has always been far more than just a ballpark.